Each week the HonestJohn.co.uk team searches the market to find the best money-saving offers and discounts. Scroll though the deals below to see how much you can save on new cars, insurance and breakdown cover. Get £20 off a new Nextbase dash camera with Argos. The high street retailer is offering the Nextbase 101 dash cam with 8GB SD card for just £49.99. Save £500 on a new Vauxhall. Dealers nationwide are offering £500 cash savings on new Adam, Corsa, Insignia and Astra models when you book a test drive. The deal can be used in conjunction with any other existing Vauxhall offers and ends on 18 December. Save £50 on your weekly shop when you take out car insurance with the Co-op. The offer is open to new customers only and the £50 voucher can only be used against food purchases at Co-op stores. The offer ends on 18 November. Get an MoT for £19.50 with Formula One Autocentres when you book a service. The deal applies to customers booking a Master Service at the same time as their MoT and excludes vans and motorbikes. Get a Karcher K2 Compact 1400W Pressure Washer for under £65. Argos has knocked £15 off the list price - now £64.89 - and the jet washer is also covered by Karcher’s two year warranty. Get £50 in-store vouchers when you buy M&S premier car insurance. 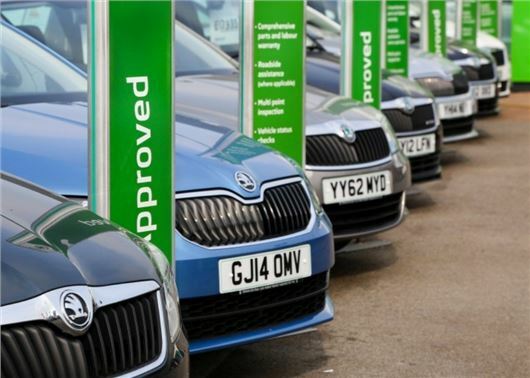 The deal ends on 31 October and is only available to new customers who buy their car insurance direct from Marks and Spencer. Save 20 per cent on your car insurance with a Nextbase dash camera. Nextbase owners are eligible for 20 per cent off their insurance policy if they take it out through broker Sure Thing. Save £20 on a TomTom Start sat nav with Amazon. Usually £99.99, the five-inch TomTom is now £79.99 and features speed camera alerts and lifetime map updates. However, be quick, the deal ends at midnight on 20 October. Boost your Tesco Clubcard points when you buy tyres from Blackcircles. You can get triple points on eligible Michelin and Avon tyres and double points on Quality Choice and Rotalla tyres. Free breakdown cover when you take out car insurance with the Post Office. The deal is available to new customers aged under 50 only and you must buy your cover direct from the Post Office and not via a comparison site. Reader offer: Save up to 15 per cent on airport parking. HonestJohn.co.uk has teamed up with Purple Parking to offer 15 per cent off London Heathrow and 10 per cent at Gatwick, Stansted, Manchester, Birmingham and Southend. Save money on your next MoT or service with Tesco Clubcard. You can exchange £10 of Clubcard vouchers for £30 of Halfords Autocentre tokens. Please note the tokens can only be redeemed at Autocentres and are only valid for a service and/or MoT. Get an MoT for just £20 with ATS Euromaster when you book a standard or comprehensive service. To get the deal you must book and pay online via ATS' website. Save £70 on a Garmin five-inch sat nav with Argos. Usually priced at £159.99, the Garmin 58L is available for £89.99 and includes European maps with free lifetime updates. 20 per cent off breakdown and essential driving kits with the RAC. The RAC online shop has discounts on all kits, covering warning triangles, high vis vests and tow ropes. Reader offer: Free car cleaning kit when you buy a warranty plan with motoreasy. To be sent a car cleaning kit, click the link below to purchase a warranty for your vehicle and motoreasy will do the rest. Get a free fuel system clean worth £35 when you book a service at Halfords autocentre. To claim the free fuel service, you must order online and enter the promo code ‘Autumn-offer’. But be quick, the deal ends at midnight tonight (7 October). Free breakdown cover when you take out car insurance with Churchill. The deal applies to new customers only who buy direct from Churchill and ends after the first 12 months of the policy. Free restaurant gift card worth up to £60 when you buy two or more Continental tyres at Kwik Fit. The offer applies to online orders only and you must have your tyres fitted within a month at a Kwik Fit centre or via the company’s mobile fitting service. Reader offer: Save 10 per cent on ALA GAP insurance. Simply click the link below to be taken to the quote page and enter the promotional code, ‘HJ66’ to receive an exclusive discount. Get a new Vauxhall Corsa 1.4 petrol in Sting trim for just £6995. The deal knocks £3160 off the normal retail price and applies to cars sold from Underwoods Vauxhall in Essex and Suffolk.